After completing his doctoral studies in 1985, Dr. Narbaitz joined the Dept. of Civil and Environmental Engineering at Florida International University, the state university of Florida at Miami. He joined the University of Ottawa in 1990, were he teaches environmental engineering courses. His research currently focuses in water treatment using membranes, the development of new membrane materials and activated carbon adsorption. During 1997-98 Dr. Narbaitz was a consultant for the Regional Municipality of Ottawa-Carleton in matters regarding activated carbon filters. Since 1992 Dr. Narbaitz has been working in collaboration with Dr. Takeshi Matsuura, a renowned membrane expert, on the development of novel membrane materials, this work has led to a US patent. Dr. Narbaitz’s research has been supported by NSERC, Materials and Manufacturing Ontario (MMO), the Ontario Ministry of the Environment, Walkerton Clean Water Centre, and the City of Ottawa. 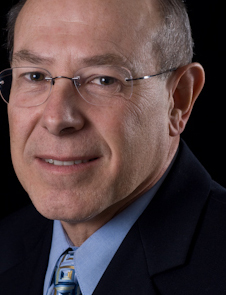 Dr. Narbaitz was departmental chair from 2005 to 2010.